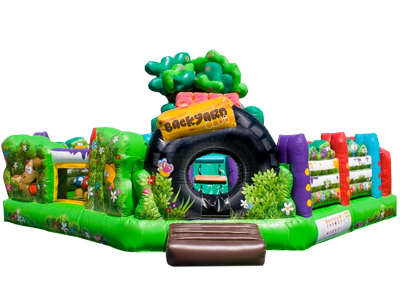 The Back Yard Toddler Combo bounce house is a fabulous playground especially designed for the youngest participants. Build with walls tall enough to keep the children safe inside the unit at all the time, but low enough to keep an eye on them every minute of your event. 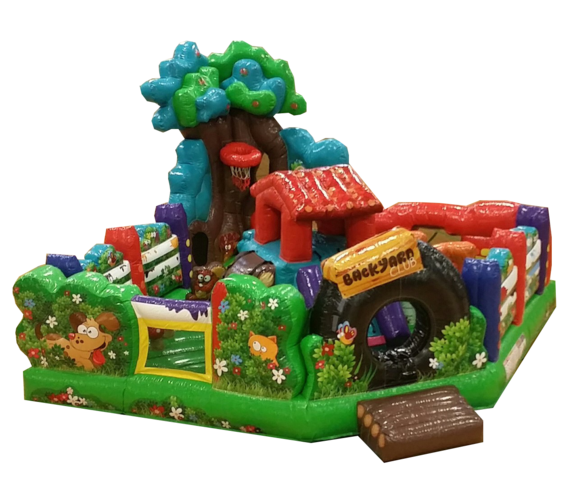 Our toddler Inflatable bounce house include educational, colorful, and safe activities that will keep every toddler involved during your next party or event. This toddler inflatable is recommend it for children under 5 years old. If you have kids older than 5 years old, we recommend you a inflatable slide, an obstacle course or interactive games. THIS IS A VIDEO OF THIS INFLATABLE TODDLER BOUNCE HOUSE.